Software applications are being constantly improved with every new version. Bugs are fixed, designs are polished, new functionalities are added. But sometimes they become too bloated, often losing sight of what they were created for in the first place. So for instance, whenever I need to record a CD or DVD, I no longer turn to Nero but use DeepBurner instead. 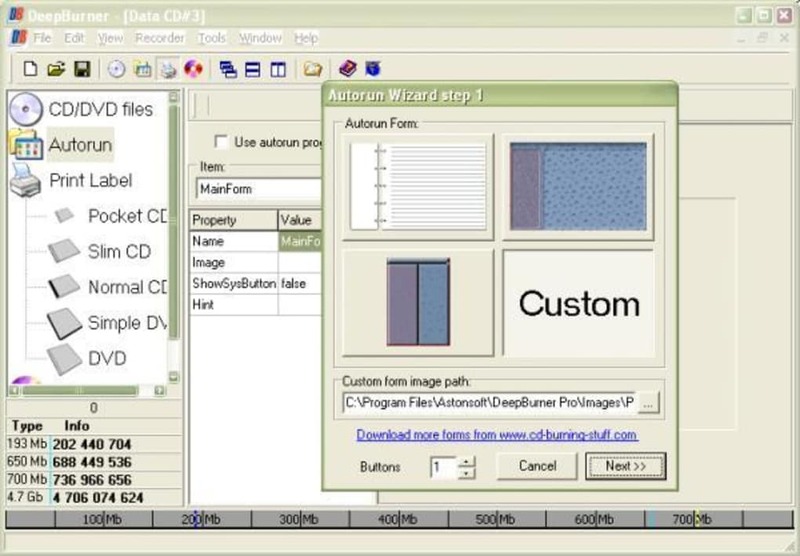 This neat program allows you to record CD or DVD in a very simple way: every time you launch it you see a project selection window where you can choose what to do (create a data disk, create an audio CD or burn an ISO image) and you're then guided through a few easy steps in a wizard-like process. 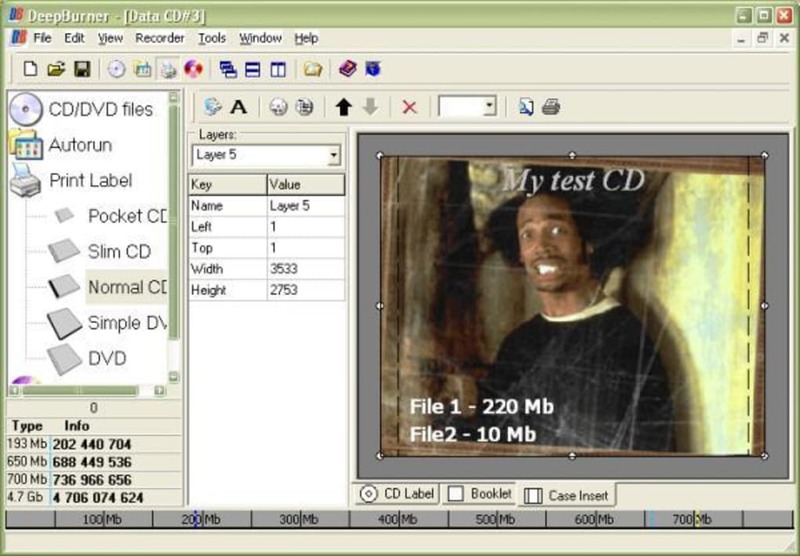 Despite its basic appearance DeepBurner features a large variety of tools and options for your recording needs: support for multisession disks, the ability to erase rewritable media and even a built-in editor to create and print your own custom CD covers and labels. There's also the option to create ISO image files, although you need to follow a small workaround to get to it: run the program and choose "Create data CD/DVD" in the project selection window. Select the files and folders you want to include in your ISO and when you're done click on the "Burn Disk" button. In the next dialog you'll be able to choose "Save ISO" instead of actually burning the data onto a CD. On the down side, DeepBurner could be criticised for being too simple, especially when compared to big recording suites such as Nero or Roxio. It's perfect if you just need to record a CD from time to time, but if you're looking for something more then you'll miss features like volume normalizing or being able to create copies, to name just a few. In any case, DeepBurner is a perfectly valid option for those who prefer avoiding complicated programs and prefer the simplicity of an app focused on one single ability: recording CD's and DVD's. DeepBurner supports a very wide range of internal and external (USB 2. 0 and FireWire) CD and DVD writers. 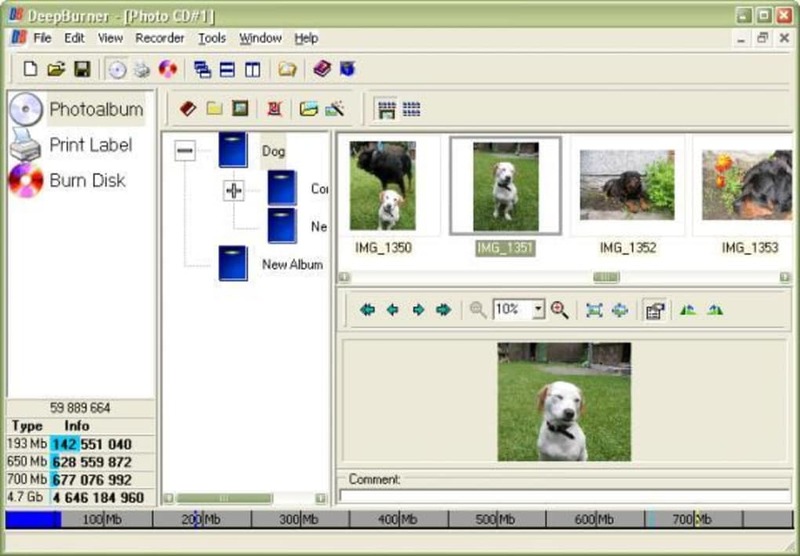 Burn any data, copy any disc, make backups, create astonishing photo CD albums, make ISO CDs and Video DVDs with this very easy to handle software! DeepBurner free download has problems. DeepBurner appeared to be a very good program and I was ready to buy the &quot;pay&quot; version until I started having the same problems that I've encountered with other DVD burning programs. At first everything worked fine. I could burn a multisession disk with no problems. Then, after burning 2 disks, it would let me add data, &quot;Append the disk&quot;, only once. Now it will not let me burn a disk period. I'm trying to burn less than 2.5 Gb of data to an unused, &quot;blank&quot;, 4.7 Gb disk. I hope that the people at astonsoft can resolve the problem before I decide to purchase the &quot;pay&quot; version. Otherwise I'll have to keep looking.